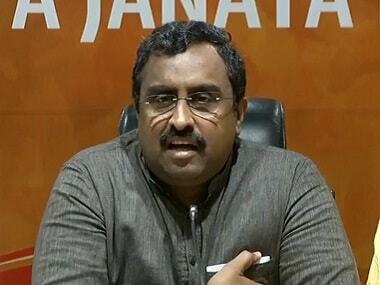 New Delhi: BJP General Secretary Ram Madhav said Monday people excluded from the final list of Assam-specific National Register of Citizens would be de-franchised and deported to their country, while Chief Minister Sarbananda Sonowal suggested that the NRC be implemented across India. Addressing a seminar on 'NRC: Defending the Borders, Securing the Culture', Sonowal said genuine citizens of India would get adequate opportunities to prove their citizenship and include their names in the final list of the NRC. "The NRC should be implemented in all states. This is a document which can protect all Indians. Those who will be excluded from the NRC in Assam can go to other states. So we will have to take strong step," he said at the seminar, organised by think-tank 'Rambhau Mhalgi Prabodhini'. 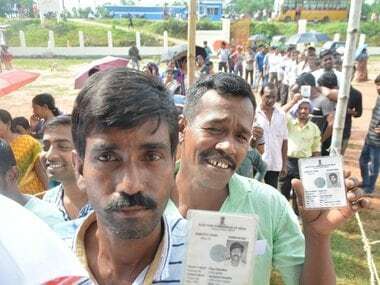 The update of the NRC, a Supreme Court-monitored exercise to identify genuine Indian nationals living in Assam, excluded more than 40 lakh people from the draft list published on 30 July, triggering a political controversy. At the seminar, Madhav said the NRC is being updated as part of the 'Assam Accord' signed in 1985 under which the government had made a commitment to "detect, delete and deport" all illegal immigrants from the state. "The NRC will ensure the detection of all illegal immigrants. The next step will be delete - means deletion of names of illegal immigrants from voters list and deprive them from all government benefits. The next stage will be deportation," he said. 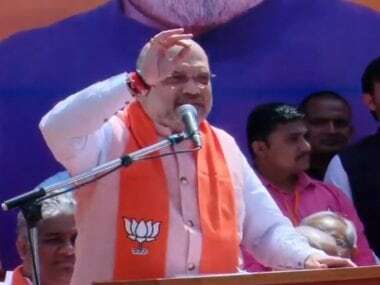 Slamming those who have said that India will have to face international criticism if illegal immigrants are deported, the BJP leader said even Bangladesh has been in active talks with Myanmar to deport lakhs of Rohingya people, who have taken shelter there to escape persecution in Myanmar. Madhav said no country in the world tolerates illegal immigrants but India has become a "dharamshala" (lodge) for illegal immigrants due to political considerations. He said the country's first prime minister Jawaharlal Nehru, after realising the enormity of the problem of illegal immigrants in Assam, had enacted a state-specific law in the 1950s to expel foreigners. "Nehru's great-grandson should read the history and extend support to detect and deport illegal immigrants from Assam," he said, referring to Congress president Rahul Gandhi. BJP Vice President and Rajya Sabha MP Vinay Sahasrabuddhe said the issue of illegal immigrants has national importance. "We all are with the Assam government. This issue (illegal immigrants) can come up anywhere in India," he said. The exercise aimed at identifying illegal immigrants in the state that borders Bangladesh was carried out in Assam following a decision in 2005 after a series of meetings between the central and state governments and the influential All Assam Students' Union (AASU). Assam, which faced influx of people from Bangladesh since the early 20th century, is the only state having an NRC, first prepared in 1951. The current exercise, started in 2005 under then Congress government, got a major push after the BJP came to power in the state with illegal immigration from Bangladesh as a poll plank. When the NRC was first prepared in Assam in 1951, the state had 80 lakh citizens then. As per 2011 census, Assam's total population is over 3.11 crore. 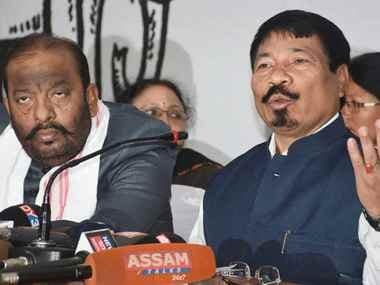 The process to identify illegal immigrants in Assam has been widely debated and become a contentious issue in the state's politics. A six-year agitation demanding identification and deportation of illegal immigrants was launched by AASU in 1979. It culminated with the signing of the 'Assam Accord' on 15 August 1985, in the presence of then prime minister Rajiv Gandhi.